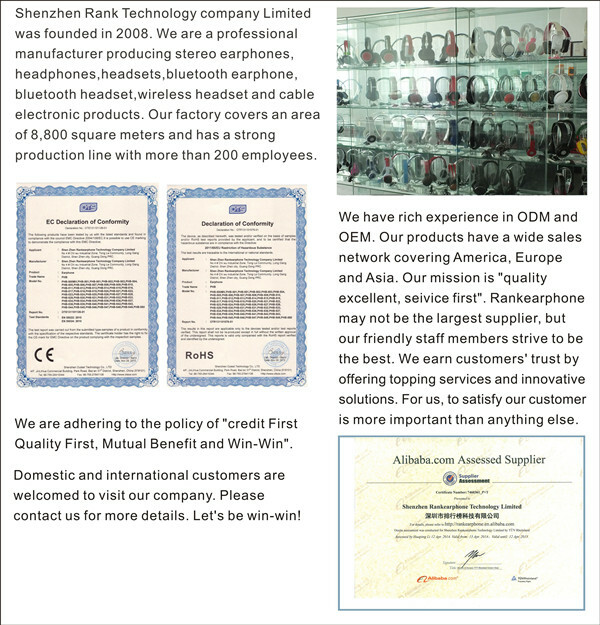 Custom and Cheap Earphone,USB Cable Supplier and Manufacturer. 3. Customized color available, base on MOQ 1000pcs. 4. CE, RoHS Standards. (Reach, CPSIA is available). 3. Delivery lead time: 15~28 days for 5000pcs, 30 days for 10,000pcs, 35 days for 50,000pcs. 4. Term of payment: T/T 30% deposit in advance, 70% balance before shipment after inspection. 5. 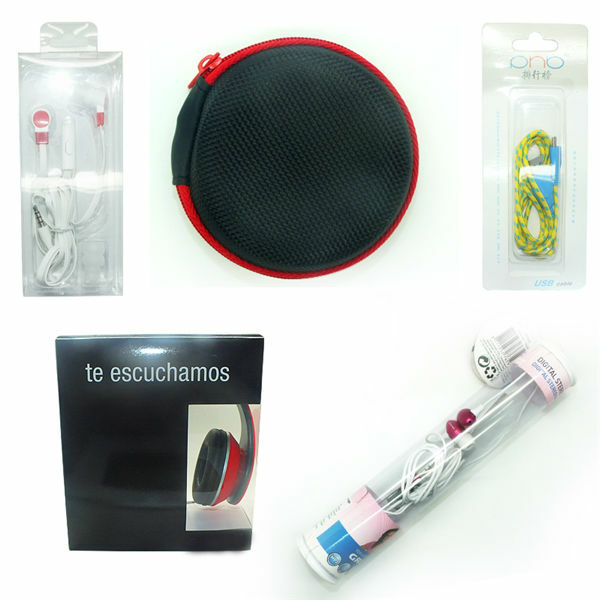 The Materials and products are checked 100% by QC, QA. 6. There are 3~12 Months of products warranty. 1. 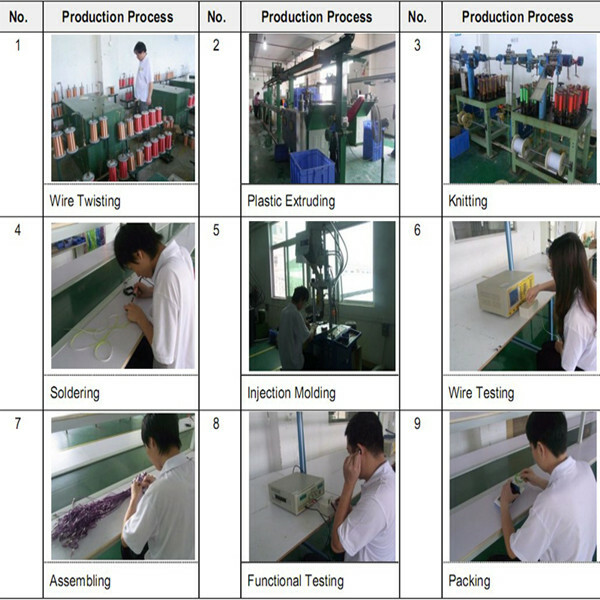 We have professional QA, IPQC, QC department to control the quality. 2. Our R&D Department has great ability of researching and designing. 3. Fast design and fast make the drawing into real and keep the designs in confidential. 6. 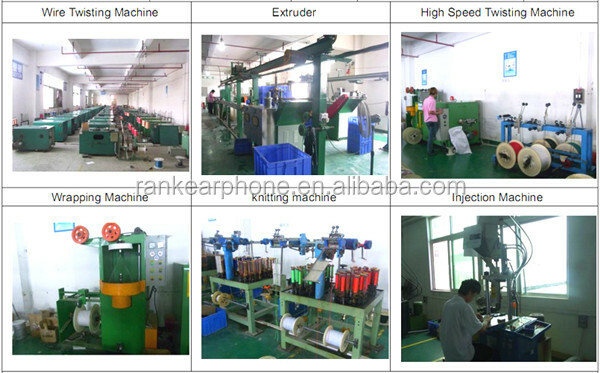 We focus on producing good quality earphones, headphones, cable etc. 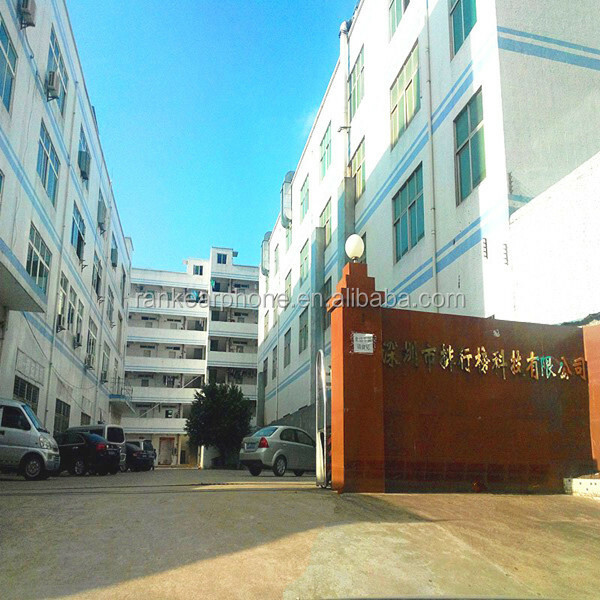 we are a leading manufacture in china with 5 years experience. 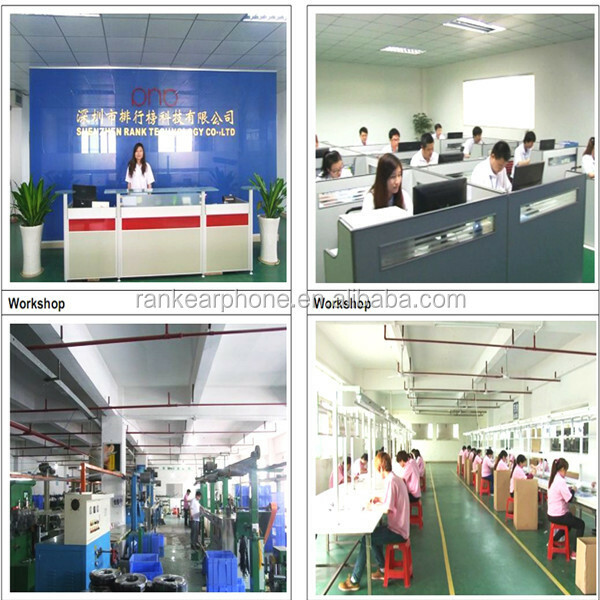 There are more than108 staffs work in RANK Technology Co., Ltd now.Our major product is wire earphone and USB cable.Our products have passed CE,RoHS certificates.So we can offer the best quality and competitive price to you. In addition,we can also give more professional service to you.